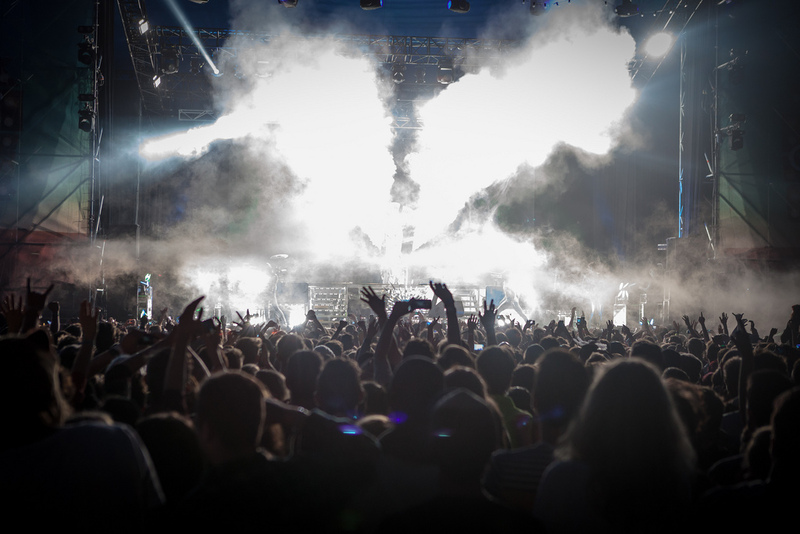 LIGHTS AND MUSIC: Splendour In The Grass 2013. After many years of lobbying the bureaucratic powers of Byron Bay to have their festival moved from its long-time home of Belongil Fields to the North Byron Parklands, the promoters of Splendour In The Grass were finally given the green light in 2013. As long as the sights and sounds of Splendour – its colourful, joyous atmosphere – translated to the new venue, then no punter would be upset. Aesthetically, North Byron Parklands felt almost identical to Belongil, despite being a 25 minute bus ride north from Byron’s CBD. Once you were roaming around the stalls, bars and stages, you quickly forgot that you weren’t at the old venue. Once your gumboots sank into the mud, there was no escaping the fact that you were at the latest installment of this coveted three-day event. Splendour In The “Grass” is purely a nostalgic title, as you have to roam far and wide to find a blade of grass that isn’t submerged in the thick sticky quagmire. But the splendour remains. TURN UP THE TV: Tunde Adebimpe of TV On The Radio. Moving a circus as large as Splendour to a new home was likely to incur teething problems. This manifested on the first day – the Friday – of the event. Having chosen to stay in Byron Bay, we joined a queue for Splendour’s bus service at 1.30pm in the afternoon. A two-hour wait later, we joined a bus at 3.30pm and were dropped on the edge of the festival site, which meant a further 20 minute walk to Splendour’s front gates. Here we were greeted by a further two-hour wait to enter the festival, with human traffic at a gridlocked, bottled-necked stand still. It had something to do with the new high-tech wristbands that were introduced this year. Rather than a simple tightening motion to put the wristband on a punter, these bands, which have a microchip inside them, had to be scanned and activated. This took about 45 seconds per entrant. Multiplied by the volume of people trying to enter Splendour, this led to extremely long waiting times. After nearly five hours of suspense, we made it through the gates just in time to see rocker Pete Doherty lead his group Babyshambles on to the Supertop stage. First impression: Pete had put on some weight. Given his rocky road with drug addiction, it was a relief to see him looking healthy. On stage he swaggered about with his trademark aloof charisma, but he also seemed lucid. His voice sounded fantastic and his guitar work was sharp. Brooklyn’s TV On The Radio have visited Australia for a number of festivals, including Splendour, and lived up to their reputation as a powerful, soulful and dynamic rock band. 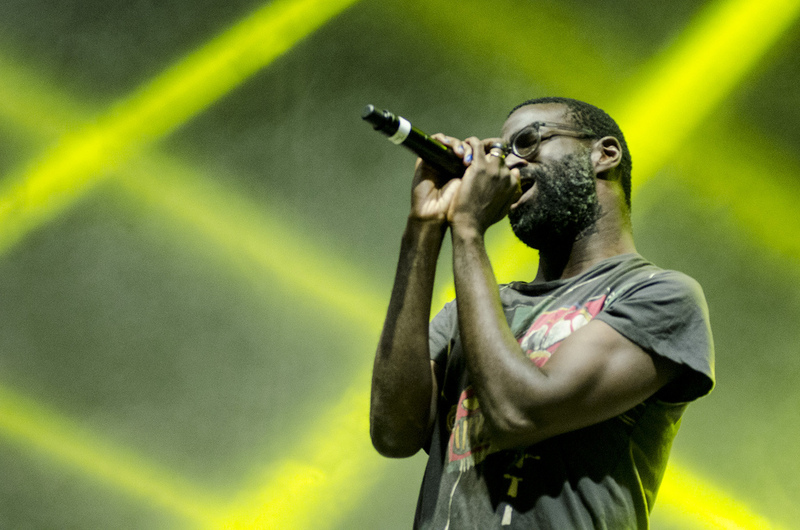 Singer Tunde Adebimpe’s vocals were in full flight as the group showed off a high-energy new song and also their hit ‘Wolf Like Me’. Mumford and Sons headlined the Supertop on Friday. Those that wished to escape the giant hoedown ventured across to see London’s Klaxons in the Mix Up tent, who had the crowd dancing to falsetto-laded pop hits like ‘Echoes’, ‘Golden Skans’ and ‘Atlantis To Interzone’. Entering Splendour on the Saturday was a far more effortless affair, with all delays rectified. There were plenty of buses waiting at Byron Bay and there was no queue to get in the front gates, with only a quick scan of the wristband required. WAR TIME: Nathan Willett of Cold War Kids. Jake Bugg was an early highlight at the Supertop on Saturday – the 19-year-old rocker from Nottingham laying down a raw concoction of Bob Dylan-esque folk and Arctic Monkeys-style abrasiveness. At the GW McLennan tent, Whitley made a welcome return to the festival circuit, with a hypnotic, beautiful performance of material from his record Even The Stars Are A Mess. The songwriter sat behind his organ for most of the set, occasionally picking up an acoustic guitar to perform old favourites like ‘All Is Whole’ and ‘More Than Life’. 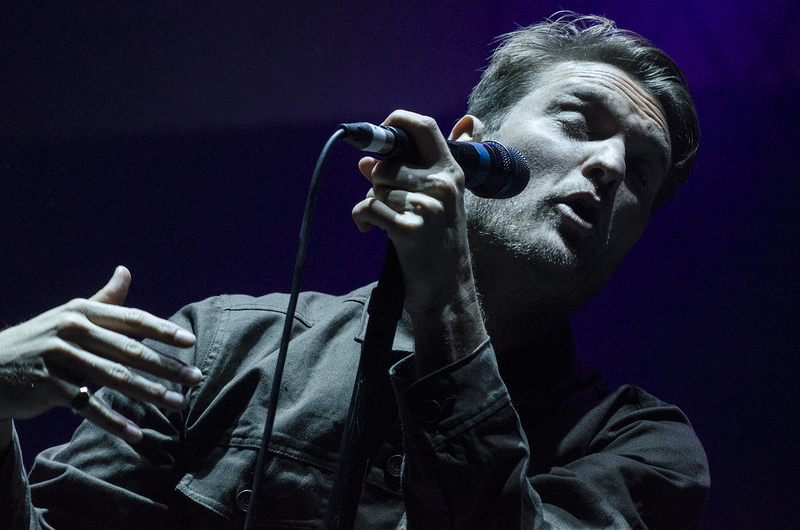 Californian rock band Cold War Kids seem to write arena-sized anthems for breakfast and their Splendour set was a firm reminder of the quality of their catalogue. A massive crowd sang along to swampy soul hits like ‘Miracle Mile’, ‘Audience’, ‘Louder Than Ever’, ‘Hang Me Up To Dry’ and ‘Hospital Beds’. The Polyphonic Spree, led by singer Tim DeLaughter, proved one of the highlights of the festival. The large band performed the entire Rocky Horror Picture Show soundtrack, before a final half hour of their own material. While dancing along to Time Warp had its own novelty, the real treat was hearing their originals like ‘Soldier Girl’ and ‘Hold Me Now’. They finished off with an explosive and faithful cover of Nirvana’s ‘Lithium’. DeLaughter leaped into the moshpit and jumped around. It was a monstrous finale to a very memorable show. The party continued at the Supertop with Birds of Tokyo. Then Empire of The Sun delivered another of their vibrant smorgasbords of sight and sound. Flume headlined the Mix Up tent on the Saturday – he really should have been in the Supertop. You couldn’t get anywhere near the tent, such was the gargantuan mass of people trying to see Australia’s dance-producer-of-the-moment. He might be a whizkid behind a laptop, but Flume’s appeal is undeniable. He dropped some of the year’s biggest party numbers, like Major Lazer etc, amongst his own works, like ‘Holdin’ On’. The National’s dour, down tempo rock music was dwarfed by the Supertop tent, but louder, more raucous tunes like ‘Abel’ gave the set a much needed shot in the arm. Musically they are impressive, but more attention was required to appreciate the nuances of their songs than what most kids can muster at Splendour come 10.30pm. Teen Girls and Pony Club DJs blasted some choice classics in the Smirnoff Bar, bouncing around between punk rock, old-school hip hop, ‘90s pop and dub step. PASSION PLAY: Passion Pit gave a massive performance on Sunday in the Supertop. On Sunday, an early treat was LA garage-punk rockers Fidlar, who drew a large crowd to the Supertop to dance to their upbeat, short bursts of noise. It was difficult to stand still when UK art-pop group Everything Everything appeared in the Mix Up tent. Their twisting melodies and tribal rhythms – with vocals reminiscent of The Presets – was insanely catchy. Their hits ‘Kemosabe’ and ‘Cough Cough’ received a particularly rapturous response. Snakadaktal performed tracks from their brilliant debut record Sleep In The Water, along with radio hit ‘Air’, but unless you were near the stage the slow tranquility of their music made it difficult to engage with their performance. Gurrumul, on the other hand, filled the GW McLennan tent with his haunting, mesmerising vocal ability. His voice is truly stunning. Performing songs in both his native Aboriginal tongue and in English, it was hard to not be swept away by the beauty of his music. The Drones followed soon after and were possibly the highlight of the entire festival. Drawing largely on new record I See Seaweed, as well as favourites like ‘The Minotaur’ and ‘Shark Fin Blues’, the show was primal and cinematic. They are unquestionably one of the best live bands in the country and their performances are jaw-dropping in their power and poeticism. 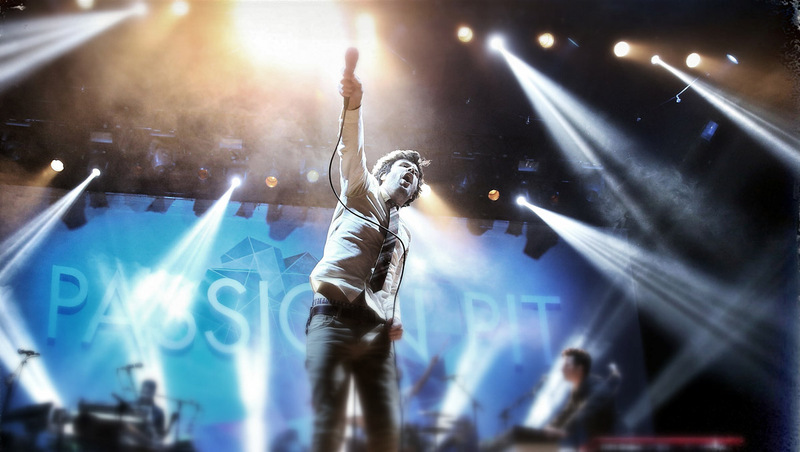 Power pop stars Passion Pit were second-last on the Supertop stage, with tracks like ‘Take A Walk’, ‘Sleepyhead’ and ‘Little Secrets’ putting hands in the air and making everyone dance and jump in the mud. They’re a live act purpose-built to bring good times to a giant audience. Of Monsters and Men brought this year’s Splendour In The Grass to a close, with the Icelandic folk-pop group stepping into the slot meant for the absent Frank Ocean. The band’s energy is infectious and they both a splendid and spirited finale to one of Australia’s most magical musical escapes. Until next year.